All Alamo Hills homes currently listed for sale in San Antonio as of 04/18/2019 are shown below. You can change the search criteria at any time by pressing the 'Change Search' button below. "Comfortable single story 3 bedroom and 2 bath home in Alamo Hills. 1 car Garage. Metal fencing. Large yard with a covered Patio. All ceramic title throughout the home. Ceiling fans. There is an addition for an extra bedroom with bathroom needing some work and updating, It would be perfect for a mother's suite." 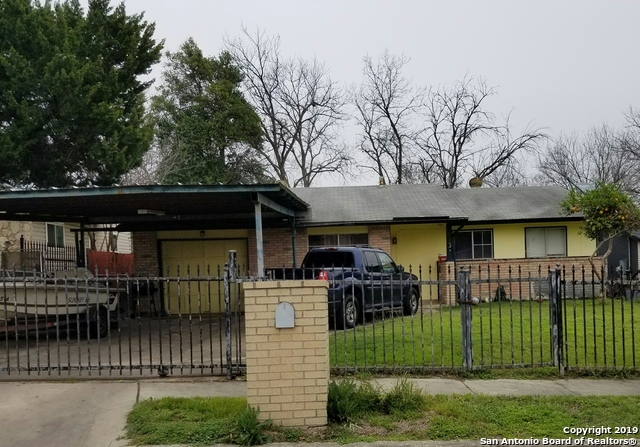 "This Alamo Hills 3/1.5 home has a lot to offer, spacious yard in front and back, open floor plan, bedrooms are all quite spacious. Close to schools, Park, shopping and restaurants, Lackland AFB, and Med center. HOME SOLD AS IS SELLER WILL MAKE NO REPAIRS Come check out your new home today!."